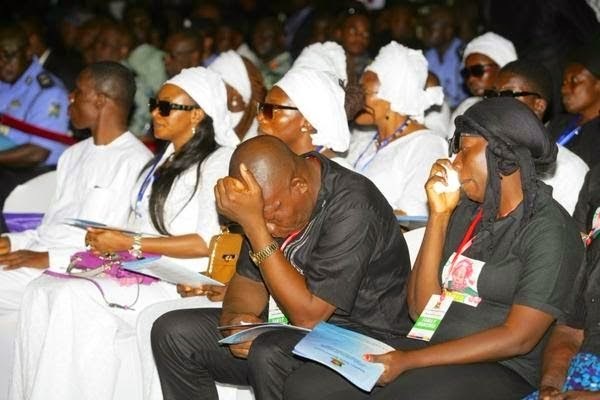 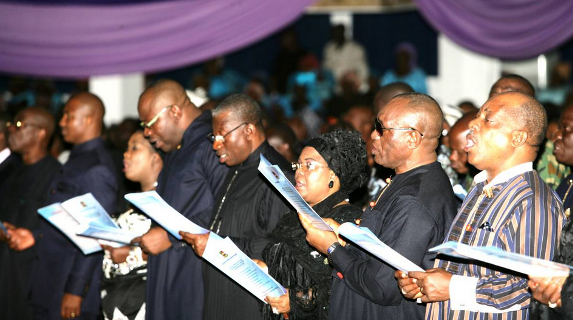 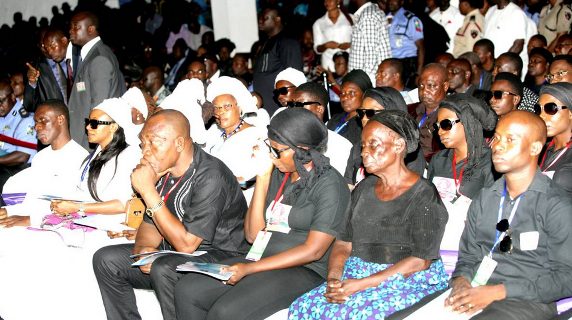 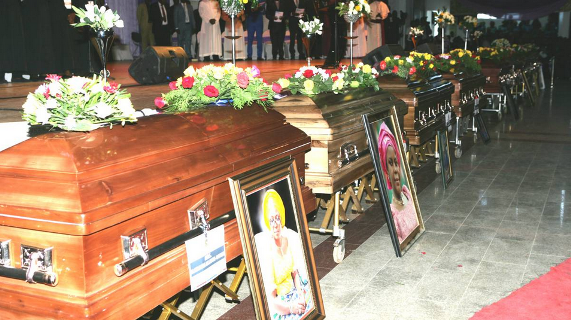 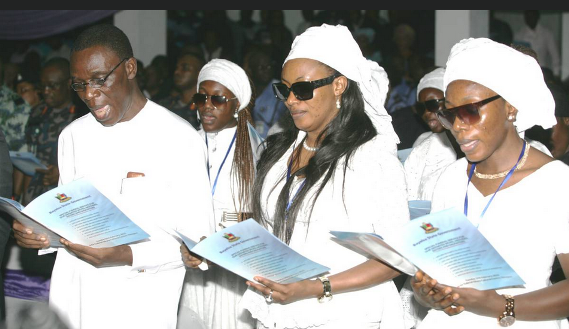 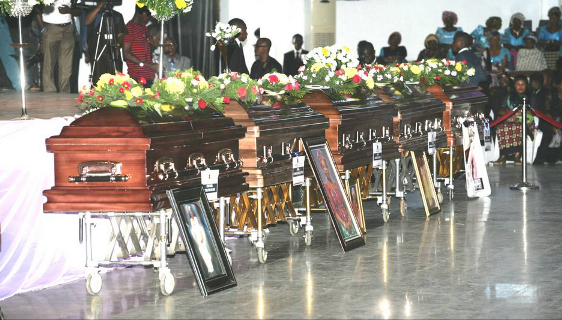 12 Bayelsa women were killed after their bus crashed on their way from a meeting with the First Lady on February 14th. 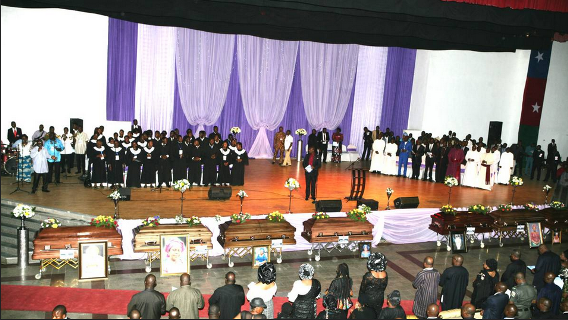 Today, the President and his wife attended the women's funeral. 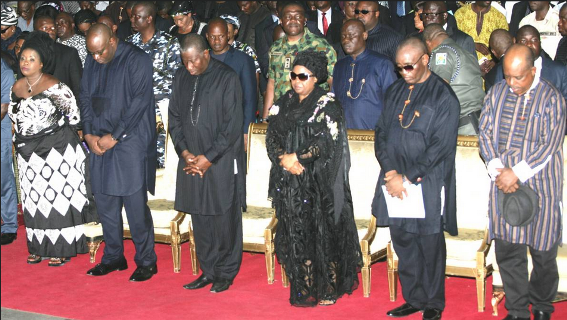 President Jonathan and First Lady Patience Jonathan were dressed in dark somber outfits at the event which had the family and friends of the women in tears. 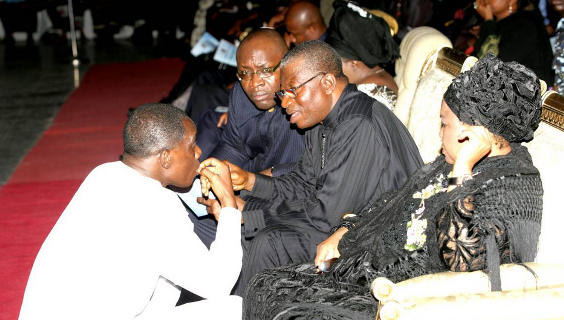 See the photos from the burial below..